Need a PDB? Consider the ImpulseOSD CodeLayer Wolf PDB! 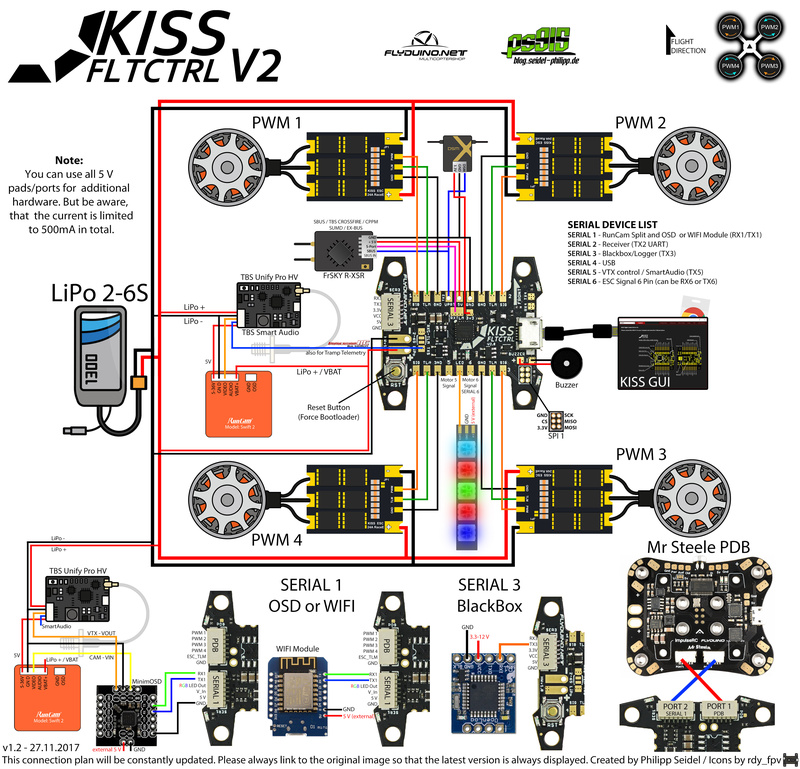 A new simplified Flight controller, the KISS FC V2 includes a complete own Flight Control Firmware development. The idea was to get the simple KISS FC to the next level and due to intensive long-term tests of some pretty good pilots, Flyduino optimized the code to a point where you can get your quad in the air quickly and easily. Now you just need to choose your Airframe in the GUI and you are able to fly (at least with KISS ESC), otherwise, you can download presets of well-known pilots for given configurations. And of course, you can tweak the PID yourself through the GUI. The software setup side is reduced as possible. Many things are already taken into account for you. A known feature is the telemetry, in combination with our 32bit ESC line it‘s possible to show the live telemetry data via OSD on your FPV live feed or in the KISS FC GUI. This way you get useful information like the Voltage of your battery, current consumption, ESC temperature and motor RPM. Other FC firmware (eg. Betaflight) are ported for the use with the KISS FC V2. Click here for the KISS FC V2 manual and downloads.